Tizen phones were supposed to begin arriving this month, but now the first Tizen handset may well be delayed until the end of the year. 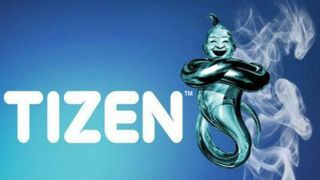 At the very latest Tizen was supposed to arrive in September, but according to reports out today, that's not going to happen either. The site spoke with mysterious "people familiar with Samsung's plans," who said the first Tizen phone has been delayed until the fourth quarter of 2013. Tizen is the open source mobile OS based on Linux, and Samsung may use it to wean itself off of Google's Android. The first Tizen phone was supposed to officially break cover this month, but we're three days into July and we haven't heard a peep. Now Korean site i24news expects the first Samsung Tizen phone to be unveiled in September at the IFA 2013 in Berlin. We've asked Samsung to clarify whether Tizen phones are still expected to launch this quarter, and we'll update if we receive any information. No U.S. carriers have thrown their full support behind the Tizen OS by agreeing to carry it yet, though Sprint has an interest in the project as one of the 11 partners backing it. Elsewhere, NTT Docomo in Japan and Orange have reportedly shown interest. Unlike the relatively affordable Firefox OS devices slowly entering the global smartphone market, Tizen handsets are expected to be rather high-end when they do debut. But it will still struggle to gain ground if its app store is found lacking, a problem that's plagued other systems like Windows Phone 8 in recent years. That fact may even be part of the phone's delay. Tizen could still be months away - what's the best mobile OS available now?